Train Babcock Advisors LLC is an investment advisory firm owner by the firm’s executives and founder. It was established in 1959 and is currently managing over $600 million in assets, with a client base of over 200 families. Its most recent SEC 13F Filing for the third quarter ended September 30, 2014, was submitted on November 4, 2014. The report details some of the firm’s topmost shareholder with QUALCOMM, Inc. (NASDAQ:QCOM), Apple Inc. (NASDAQ:AAPL), and Express Scripts Holding Company (NASDAQ:ESRX), emerging the firm’s top three investments. 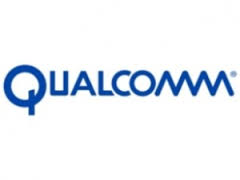 QUALCOMM, Inc. (NASDAQ:QCOM) was the topmost investment of the firm with investment worth $9.9 million. This is a company that designs and manufactures wireless telecommunications products and provides services in the same field. The company is based in San Diego, California and is U.S. incorporated. In the company’s latest end year filings, its net income hit $8 billion, more than a billion the company posted last year. The final quarter of accounted for $1.9 billion in net income. The company is currently facing challenges operating in China due to antitrust hurdles and is also facing investigations in both the U.S. and China. Apple Inc. (NASDAQ:AAPL) came out as one of the leading investments of Train Babcock Advisors LLC, coming at number two with an investment value of $9.8 million. This is one of the world’s leading manufacturers of laptops, tablets, desktops, and other electronic devices. The company reported a fourth quarter revenue of $42.1 billion and a net profit of $8.5 billion. In the previous year’s fourth quarter, the company posted $37.5 billion in revenue and $7.5 billion in net profit. The company has released a number of premium gadgets this year ahead of the holiday to boost its revenue. However, some of the devices, particularly the iPhone 6, have faced challenges in the market. The company has outperformed Samsung in China as a top mobile brand in the lucrative market. Express Scripts Holding Company (NASDAQ:ESRX) emerged the third largest investment of the firm, accounting for a total of $8.3 million in value. This is a pharmacy benefits management organization with its headquarters in St. Louis, MO. According to the company’s second quarter report, it had registered a year over growth of 8.94%. The company posted total revenue of $25.11 billion against $24.42 billion by consensus estimates. A few of its subsidiaries are Connect Your Care, Phoenix Marketing Group, Medco Health Solutions, and National Prescription Administrators.